AnancyFire Protection Services is a full service fire protection company. 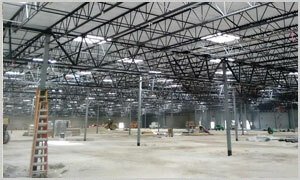 We are highly trained and experienced in installing, maintenance, and servicing fire sprinkler systems. We are your local expert in every aspect of the fire sprinkler systems. Dedicated to your safety, you can count on us! We are able to offer our services with confidence that our specialized trade can meet your requirements with satisfaction. Copyright © 2016 Anancy Fire Protection Services INC. All Rights Reserved.